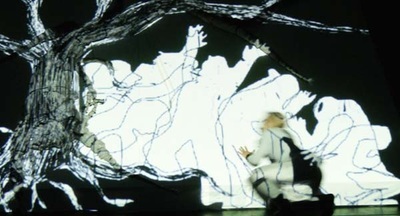 'VITA' - a collaboration between ALBAN ELVED DANCE COMPANY/Karola Luettringhaus and Samuel Allen Taylor from Karola Lüttringhaus on Vimeo. A simple 45-Degree raked platform faces the audience, which, ideally is seated slightly elevated so as to look directly onto the platform surface. 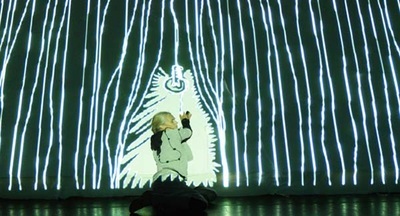 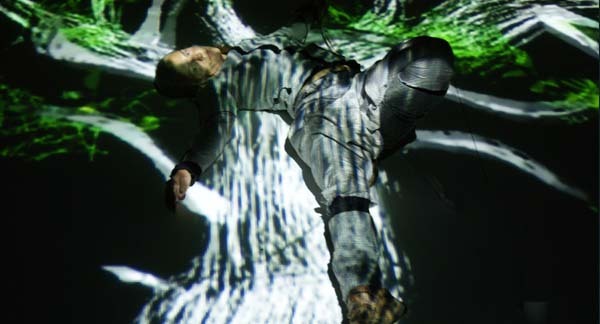 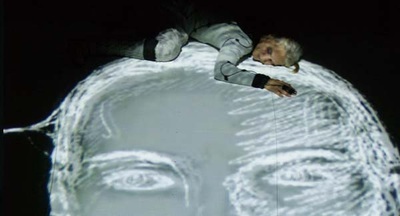 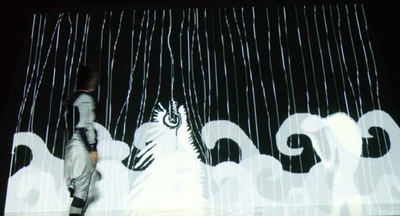 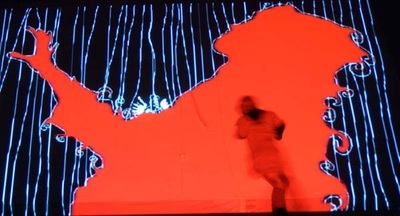 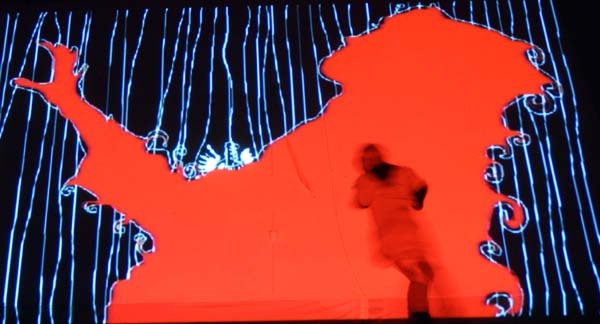 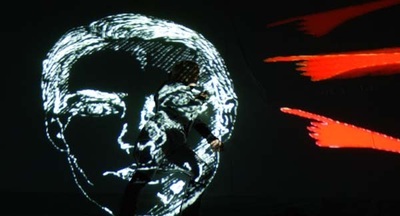 The performer climbs and moves inside paintings and animations that are projected to fit the platform exactly. The animations are the only lighting source. 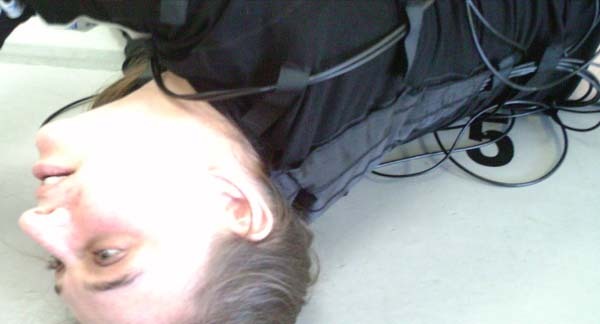 ​The dark wires are visible on the light gray costume. 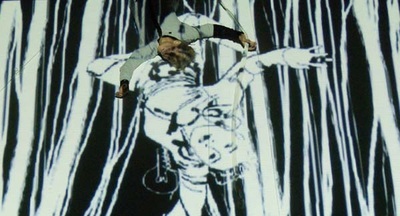 Shoes are necessary to maintain traction on the steep rake and a reminscent of moccasins. 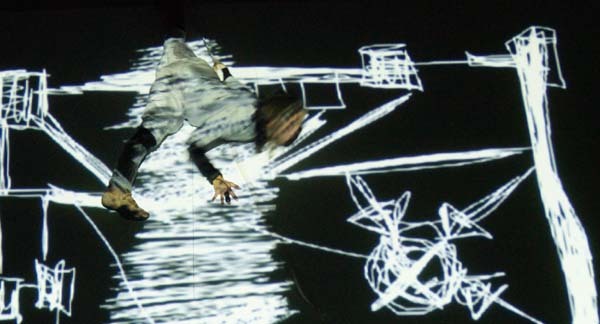 Gray was chosen to allow the dancer to become projection surface as well as stand out against a white background.